Cloud services allow organizations to move their workloads to a secure cloud environment where they can easily scale as their business grows, paying only for what they need, when they need it. Companies can setup and deploy applications in a secure environment while meeting compliance and business needs. Managed services gives you piece of mind by helping you build or maintain the infrastructure and making security and applications available to customers anywhere at any time. 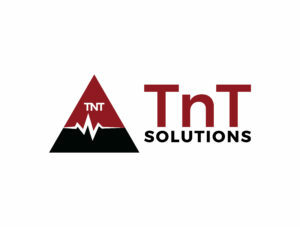 When you need help with organizing your business and want to protect your computers from outside threats but you’re on a strict budget, TnT Solutions is there for you. Because our partners provide fully scalable services and offer a wide variety fee schedules to suit your business needs, you’ll never have to worry about an IT cost you can’t cover. With no additional IT staff needed and no initial capital investment required, you can now direct your cash to more important, business growing prospects, and leave the rest to us to find just the right partner that will provide all your cloud computing needs. Security – Your business’s vital systems and data will be protected from loss, and even theft by allowing us to assist you with the best cloud computing partner to serve your business needs. Data protection – Our partners provide built-in data backup and secure data storage, you’ll never have to worry about losing your data in the event of any disaster. Tools you can use – When you need to control and manage your systems, we give you the necessary support for finding the perfect provider fit so you can focus on your business.